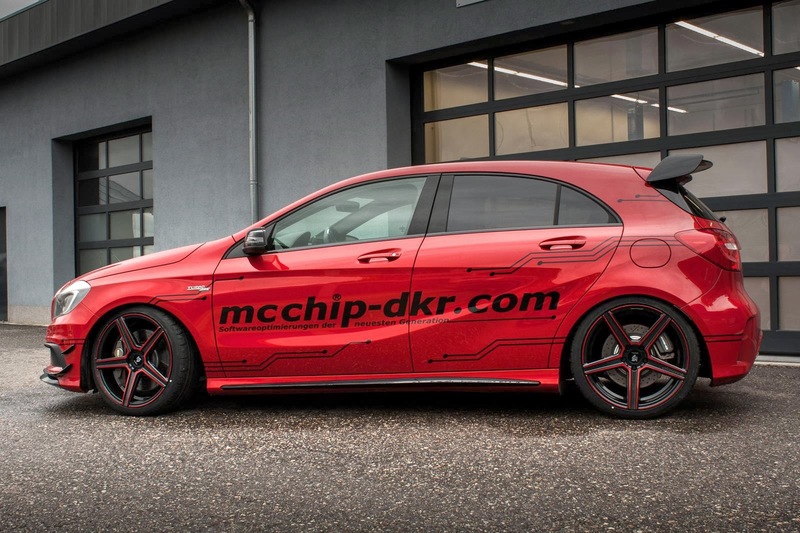 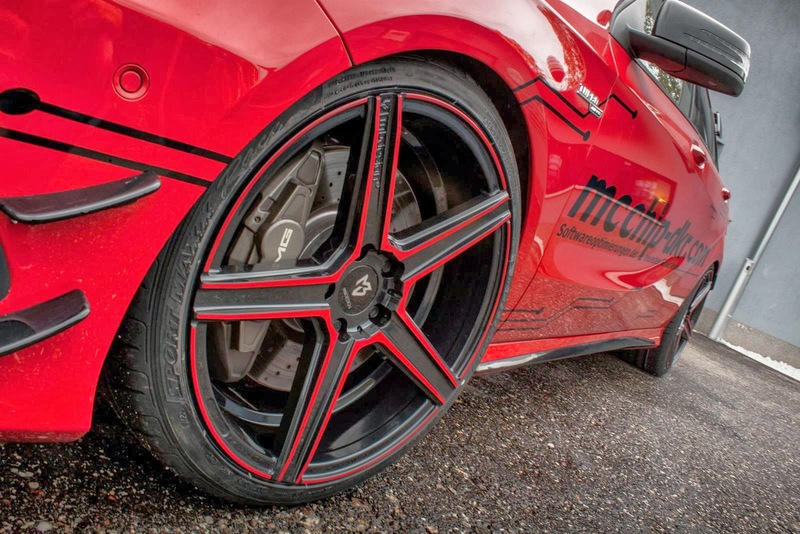 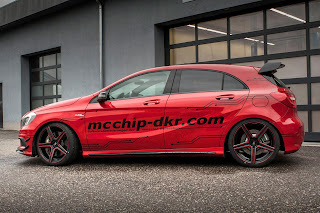 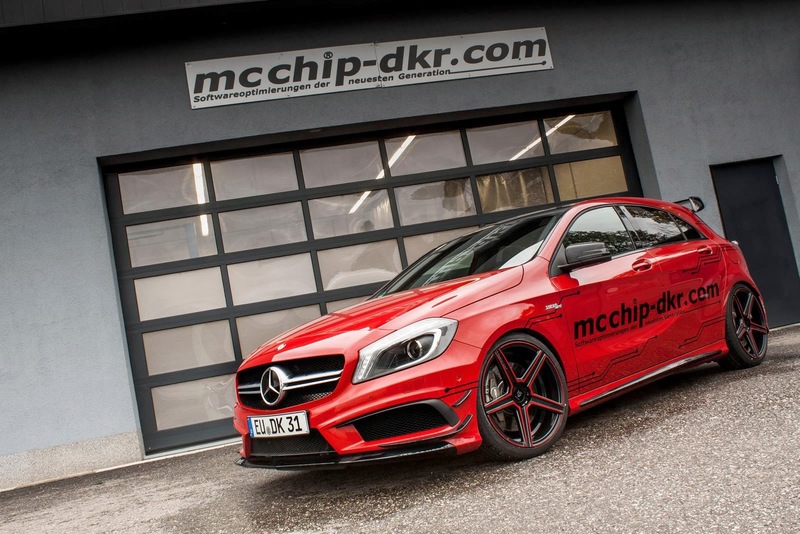 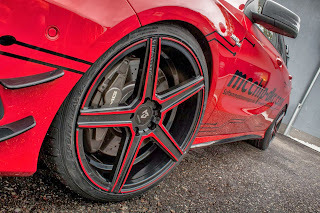 German tuning company mcchip-dkr unveiled its performance oriented package for the Mercedes-Benz A45 AMG. The package enables the baby AMG's 2.0-liter inline four engine to produce as much as 450 Hp and 550 Nm of torque. Which means it's a full 90 Hp more powerful and produces 100 Nm more torque than the base model. This output was achieved thanks to a retuned ECU (stage 1, 400 hp and 535 Nm), sports catalysts (stage 2, 420 Hp and 535 Nm) and an upgraded turbocharger (stage 3, 450 Hp). 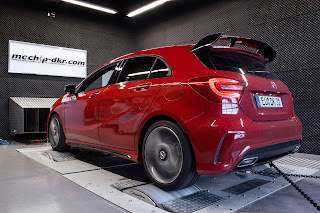 To improve the handling, the car received KW coilovers and now rides on mbDesign KV1 wheels measuring 19 inches with large Dunlop Sport Maxx Race tires. 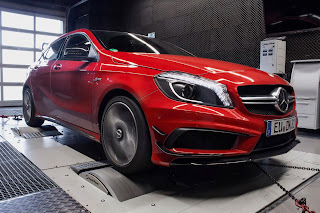 More pictures of the beast in the gallery below.